The Foundation, through its Board of Trustees, seeks to build upon its past projects, maintain its current projects and develop new initiatives that result in improvements in public education and health and maintain the environmental integrity that sustains the unparalleled natural beauty of Bocas del Toro. Donated funds in direct support of three students from Isla Bastimentos.Funds will provide transportation, text books and school supplies for students from Bahia Roja, Bahia Honda and Old Bank (Basti Town). Made significant donation to the Give and Surf Foundation in support of its various educational initiatives throughout Bocas del Toro. Purchased new clothes washer for Casa de Asilo. In cooperation with various Rotary Clubs, working through Project Cure, provided a large amount of over the counter medical supplies consisting of a wide array of medicines, bandages and elder-care equipment to Casa de Asilo. Made a significant donation to Margo Carey's Meals and More Program administered by Virginia Vasquez. These funds will augment the current program and provide additional support to schools throughout Bocas del Toro. Commissioned a local craftsman to build "Little Free Libraries" funded by the three Rotary Clubs, that were constructed in Bocas Town and in Basti Town. These Little Free Libraries were registered through www.littlefreelibrary.org . 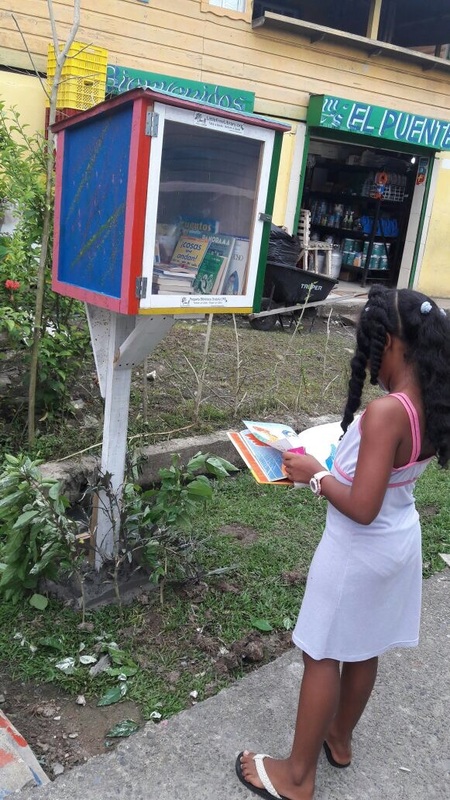 They are the first "Little Free Libraries" to be established in Panama. Committed funds to the Darklands Foundation in support of its instructional seminars that promote conservancy of indigenous farmlands. Our funds will provide transportation, refreshments and instructional materials to participants from throughout the archipelago attending the Foundation's upcoming seminar at Tranquilo Bay in May 2018. Volunteers spent several hours doing minor repairs, organizing storage facilities and other chores around the Casa de Asilo and grounds. Volunteers participated with Casa de Asilo residents in a daily exercise routine directed by a Casa de Asilo volunteer. Volunteers participated in a local school's mural painting exercise that involved local school children and Casa de Asilo residents. Consistent with Pack for a Purpose guidelines and with the help of local representatives, provided school supplies consisting of books, notebooks, packaged writing instruments, ruler, erasers, etc. to a number of indigenous schools throughout the Bocas region. Established a liaison for "ad hoc" volunteer efforts with IGY Marinas at Red Frog Beach. IGY Marina manager has agreed to coordinate Red Frog Beach Resort visitors wanting to volunteer as clean-up crews in the region. Provided funds to support the Bocas Schools' 2017 Christmas Festival. The funds were used to purchase paints, construction materials and other decorative supplies necessary to turn recycled materials into Christmas themed objects; snowmen, Santa's, etc. This project was initiated by Alcalde Martin Downer in conjunction with Ms. Virginia Vazquez. Provided a wide-array of computer technical support to the Director, Casa de Asilo consisting of installation of software updates, computer networking and staff instruction. Provided musical entertainment to residents of Casa de Asilo. Provided musical instruction to students in schools throughout the Bocas del Toro region. Assisted the Musical Director of the Bocas Town school in establishing a Marching Band. Assisted the Director, Casa de Asilo in remediation of infrastructure and building issues throughout the facility. Collaborated with "Operation Safe Drinking Water" to purchase and install a fresh water catchment system for the indigenous village at Bahia Roja. Installed a new water system at one of the elementary schools on the Island of Colon. Provided a volunteer who assisted The Floating Doctors at their First Aid Clinic. This clinic provided rudimentary physical exams, OTC medical supplies and basic hygiene instruction to the local population as well as an indigenous village on main land. Donated lumber for the reconstruction of Bahia Roja village after a devastating fire ravaged the village. 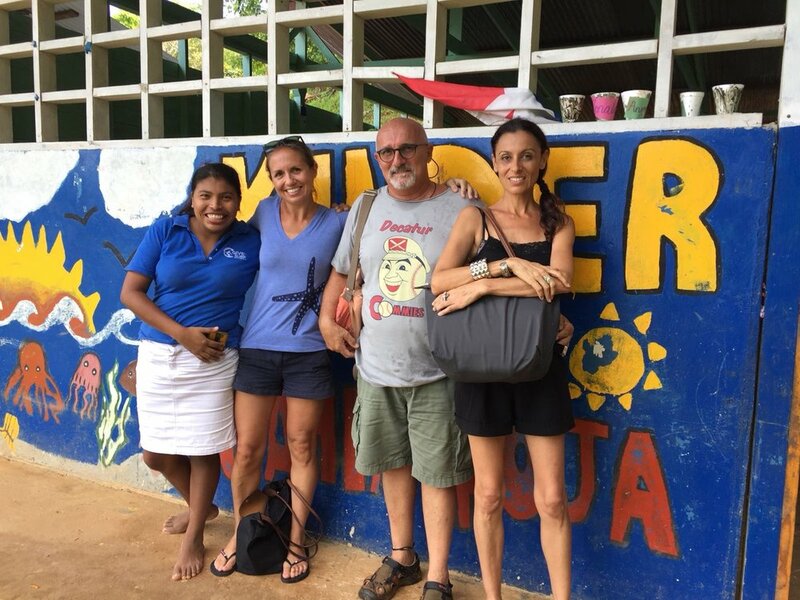 Donated medical supplies to Asilo, the Home for the Aged and the clinic in Bocas town. Donated backpacks and school supplies to the Bastimentos School and indigenous schools at Bahia Roja and Bahia Honda. Donated and installed six personal computers in the library in Bocas Town. Worked with "Unidos por Bocas" purchase and installed trash containers throughout Bocas Town as part of a wide-ranging trash collection effort. Worked with the Red Frog Beach Resort to purchase and donate sports jerseys to the Basti Town soccer and volleyball teams. Donated materials and supplies to construct a roof over the boardwalk connecting the "Main Street" in Basti Town to the Students' Study Center.